What kind of grandfather drags his grandchildren to multiple cemeteries and calls it fun? What kind of family historian allows the fear of a little traffic congestion keep him from a genealogical gold mine? What kind of person never stops interviewing his aged mother and gets rewarded with a story he’s never heard? That would be me, guilty on all counts and hoping you benefit from my experiences. Let’s answer that second question. My extended stay with mother in June allowed me to access a true genealogical gold mine. It’s open to the public, to anyone that is, willing to enter the belly of the beast! Home for the B. L. Roberts family is North Texas, Denton County to be specific. My older brother David will soon retire and move back into the county. My younger sister Debbie lives one county to the east in Collin County. My mother built a small house on the Collin County property when they moved back to the area from Tucson, AZ. When I began researching my Roberts and Byrd families in 2012 I found many of their stories played out on the plains and rivers of North Texas. I was raised on the land of my ancestors! Who knew? In the past we’ve researched repositories and courthouses in Denton, Collin, Wise, Red River, Lamar, Hunt, Fannin, Grayson and Montague Counties. I’ve written about libraries, historical societies and friendly county clerk officials in most of these places. I’ve benefited from them all. I hope to go back. But in all our travels, I missed, or should I say avoided, the mother lode. Mom’s porch sits forty-six minutes from the gold mine on a good traffic day. Being that close for more than a week was more than I could resist. I had to somehow screw-up my courage and enter the canyon. I deliberately chose Sunday afternoon, a good traffic day. I made my way south out of Collin County and soon entered North Dallas. At approximately forty-six minutes I exited Live Oak and entered the canyon of downtown Dallas. Being forced by detour signs to alter my original route in the canyon, I arrived at the entrance to the mine at about the fifty-minute mark. Not bad. The J. Erik Jonsson Central Library faces Young Street. You’ll need to enter the parking garage on the Wood Street side, enter the elevator and go to the 8th floor. 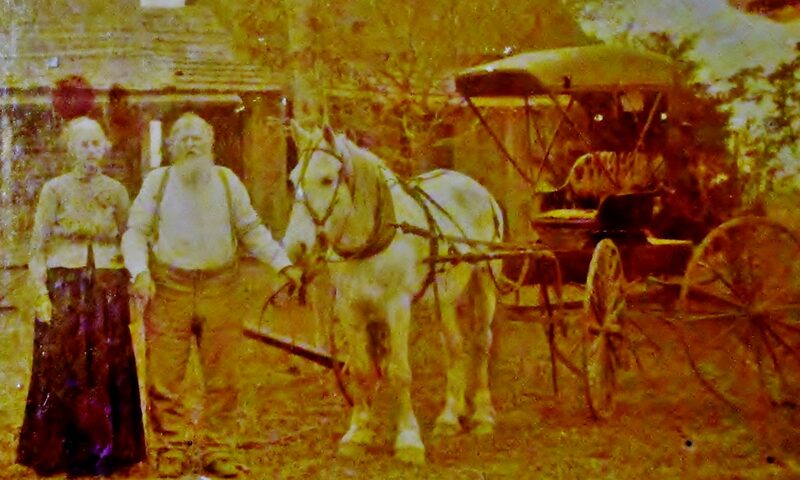 You’ve found a genealogical gold mine! Over the next seven days I spent two half-days and two full-days collecting nuggets from this mine. I had already experienced my only good traffic day. The staff is knowledgeable, friendly and ready to serve. It was every bit as good as my experience at the Haggard Library in Plano. The environment is comfortable with plenty of room to work and tools to use. The material is as good and voluminous as I’ve seen. 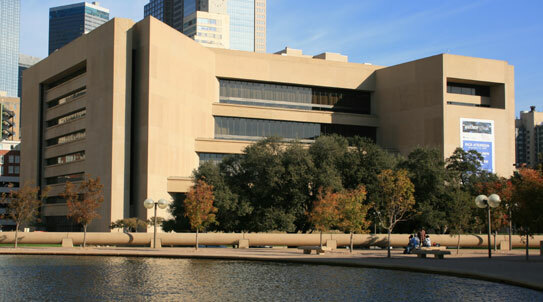 This includes research centers like The Clayton Library in Houston, The San Antonio Library, and The Texas State Library and Archives in Austin. I was focused on one family line during my visits, dabbled in a couple of others and barely scratched the surface on available material. Backpacks are allowed. There is a very limited selection of snacks and drinks in the vending machines on the parking garage level. Take lunch and snacks with you. There is a comfortable place with tables just outside the main entrance on the first floor. Don’t worry, it’s air conditioned! Like most major libraries today you’ll be sharing the space with the homeless. I’ve never had a problem. The Genealogy floor requests you to sign in and out. Before you go, use the online databases and do some prep work. You may do search queries by county, subject, name, etc. and print out a list from the Dallas Public Library website. I had over seventy potential sources to research. Check the schedule. The Genealogy Section (8th floor) has specific hours each day. Check them before you go. Call the Genealogy desk a day or two before you go just to be safe. Ask if everything is currently available and ready for use. Three of my over 70 source items were on the Texas History Floor (7th) which was closed for renovations. Had this been my main focus for the trip, I would have been disappointed. If you use GPS, be sure to use the Wood Street side of the Library for your address point. The one way streets in downtown Dallas can be a little tricky. Dress comfortably. Take a light jacket. I didn’t need it but I saw some who did. I was researching primarily Virginia records. There was a wealth of material. It appears this is true for most states. I plan many more trips to this wonderful Genealogical resource. Plan your own visit. Find your nuggets in downtown Dallas. Next PostNext Share Your Family’s Exciting Past. Here’s the Why and How.